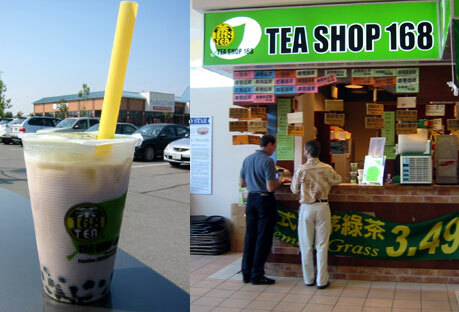 I’d heard of bubble tea before but this was my first encounter with the trendy drink. Glen, who seems seriously addicted, took us out to find a fix. We eventually descended upon a tasty168 franchise in a large oriental mall near to the meeting. I went with the Taro flavoured black tea which was very nice, though i spent most of the afternoon with a wierd sensation of little balls rolling around in my stomach..
A Whatfettle article by Paul Downey published Thursday, September 16th, 2004, at 7:30 pm under a Creative Commons License.